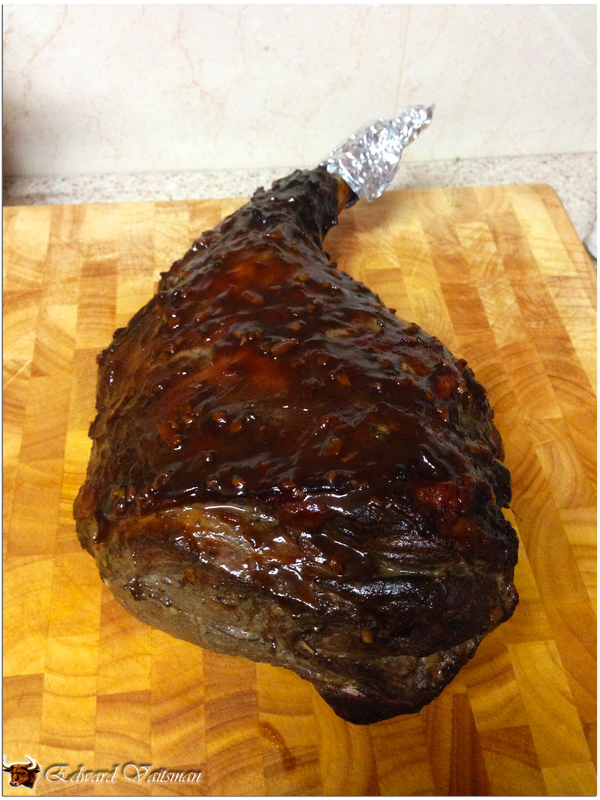 To me, leg of lamb is a perfect entertainment dish… One leg usually is enough for 8 to 10 very hungry men, and it’s bloody impressive, you gotta admit that! 🙂 So today I give you my South African style marinade for lamb, in which the garlic and the ginger give the meat another dimension of taste and aroma. So, first step is the marinade. Mix all the ingredients in the saucepan, bring to boil, stirring from time to time, then simmer for about 10-15 minutes till thickened a bit. Remove from heat and let cool to room temperature. Step 2 – using a pairing knife, or any knife with thin blade, make deep cuts into the meat and push a garlic clove together with the ginger slice in. Step 3 – place half of the marinade in a bowl and set aside. This will be your serving sauce… Then the remaining half – divide again in 2 parts. One – to rub the meat for marinating, and another – to use as a glaze. Now, when you’re done with the “divide & conquer” part :), you can move to the shiatsu session the meat is about to get. Rub it nice and gently with the marinade, wrap tightly with the nylon wrap and let marinate in the refrigerator for at least 24 hours. 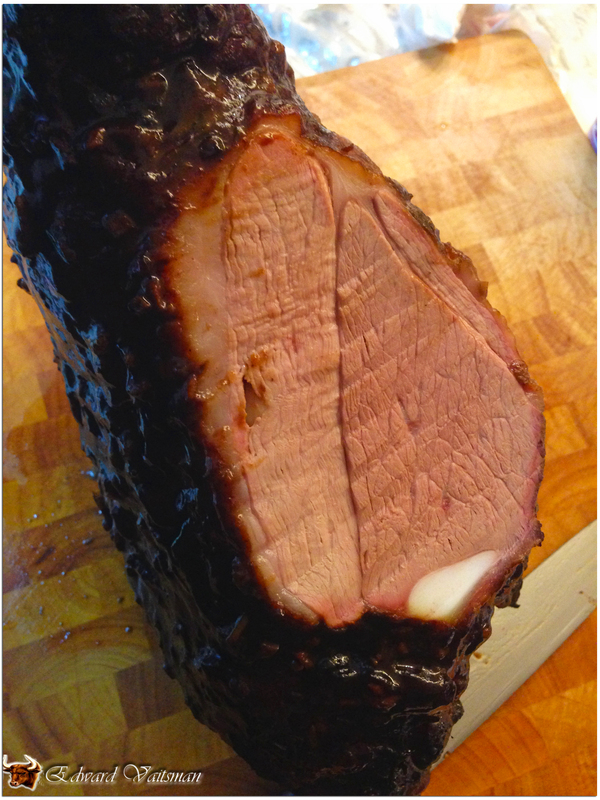 Step 4 – smoking… I used pecan and cherry wood, mixed 70-30. Cherry gives a beautiful colour, and pecan – the smokiness, bit more gentle than hickory – perfect for lamb, to my taste. Smoke temperature – 110C (that’s 225-230F), till internal temperature of 70C (160F), something like 4 to 5 hours. Do not forget to take the lamb out of the refrigerator at least 1 hour before smoking. 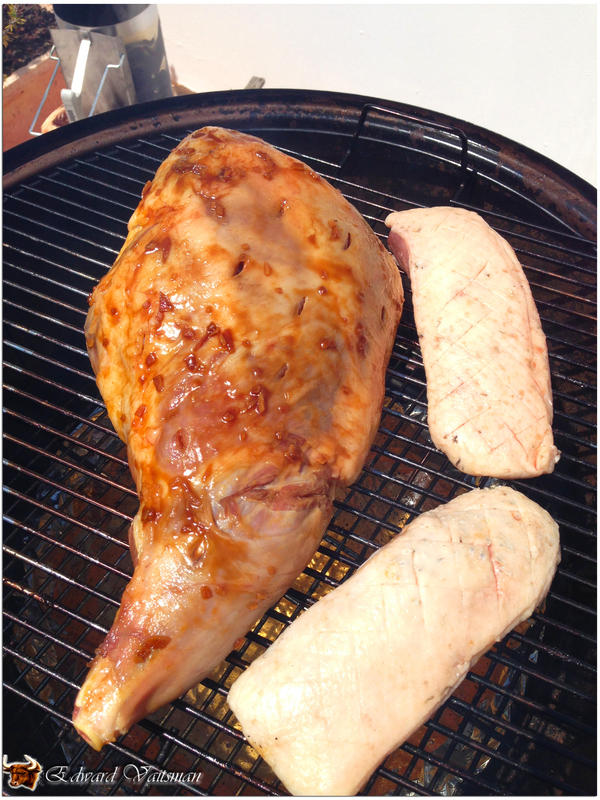 During the last 2 hours of smoke brush the meat with the remaining 1/4 of the marinade, once an hour or so. The sugars in the marinade will caramelise, giving a perfect glaze to the meat. 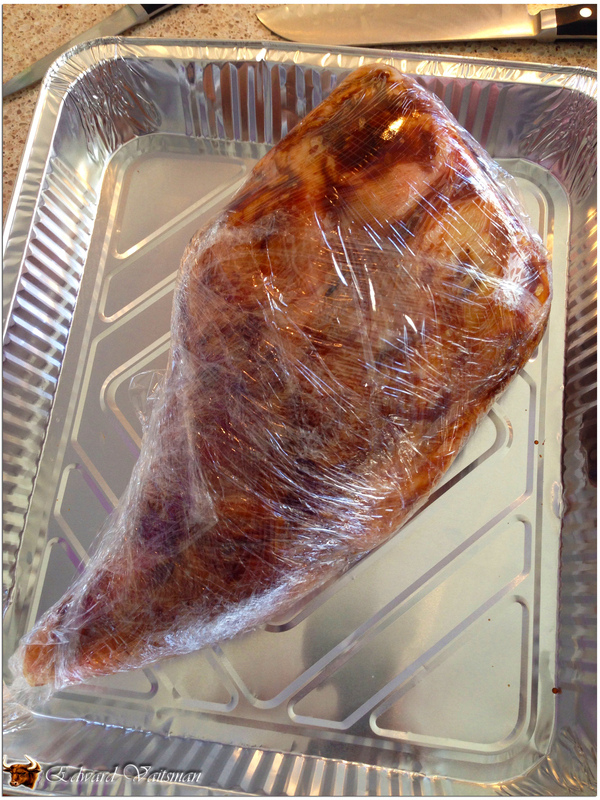 Last thing – let the meat rest at least 20-25 min, loosely covered with foil, before slicing. I warn you – it is going to be bloody tough. The aroma will be absolutely mouthwatering! Then slice and serve, with reserved half of the marinade as a sauce aside. 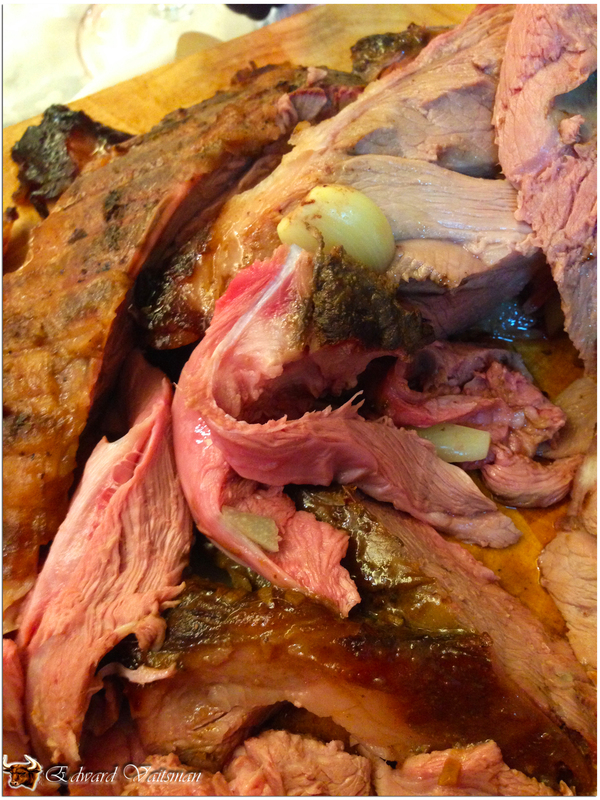 This entry was posted in Lamb, Meat and tagged BBQ, garlic, glaze, lamb, meat, sauce, serving, smoked, smoker, smoking.